ike. So why isn't it working for you? Networking is not simply showing up, handing out your business card and receiving a job offer or a new client a few days later. It takes commitment, conveyance of trust, an effective strategy and a reciprocation of value to those from whom you seek something. Would you like to improve your networking skills? Then this program is for you, as Career Coach Mauri Schwartz presents Build Your Professional Network to Energize Your Career. This program will examine the spirit of networking and how you can better leverage it to advance your career. Please join us and remember to bring your business cards! 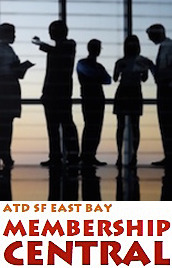 Presenter: Mauri Schwartz, President of Career Insiders, is a leading figure in the Bay Area career management community. Prior to founding Career Insiders, she successfully recruited and established recruitment departments for diverse clients, from start-ups to Fortune 100 companies. She enjoyed a high tech career with IBM and McKesson, including developing software for the Trident Submarine. In addition to her outstanding success rate in helping clients achieve their career management goals, Mauri is a frequent speaker at conferences, job fairs, and student career panels. She serves as Adjunct Advisor, Career Services at the Haas School of Business, University of California, Berkeley. Mauri received an MBA from the Haas Business School and a BS in Math from Tulane University.